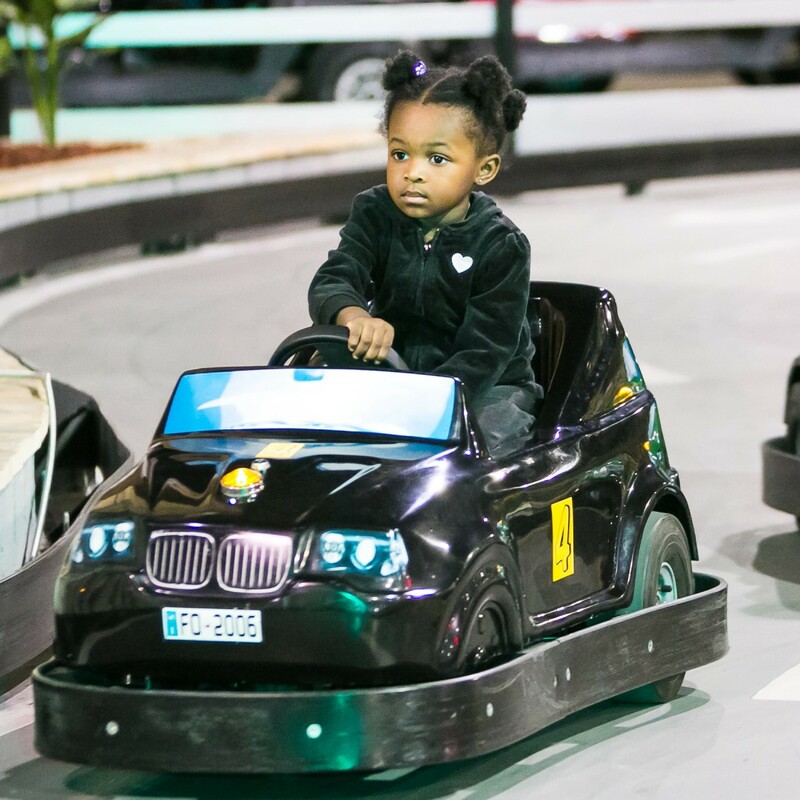 On the Tiny and Booster Track, children ages 3-8 will learn how to use the pedals of a car as well as speed control and proper steering. 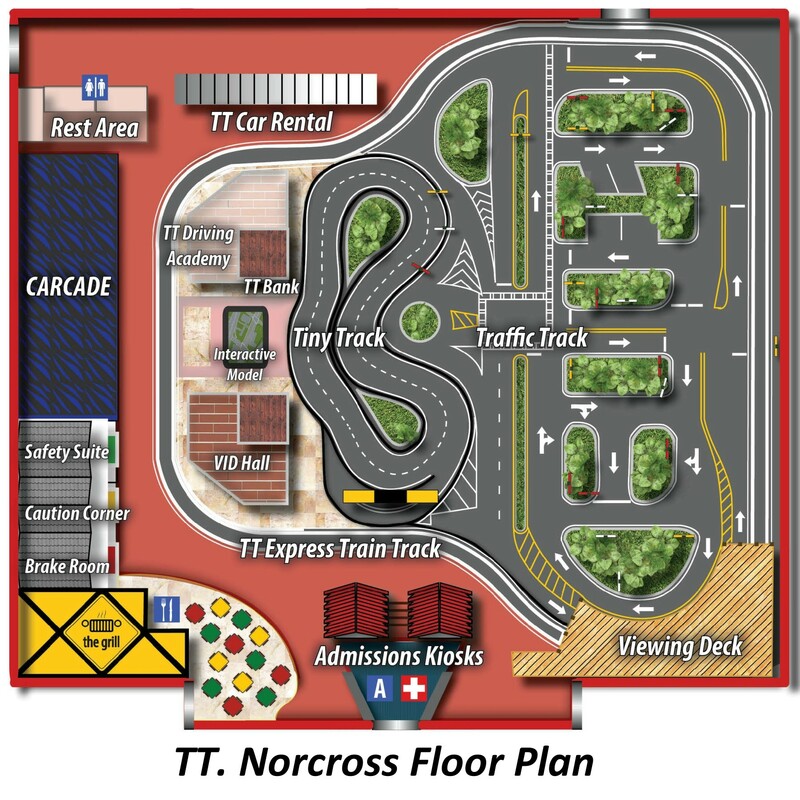 The Traffic Track is a free roam Town for ages 9+. 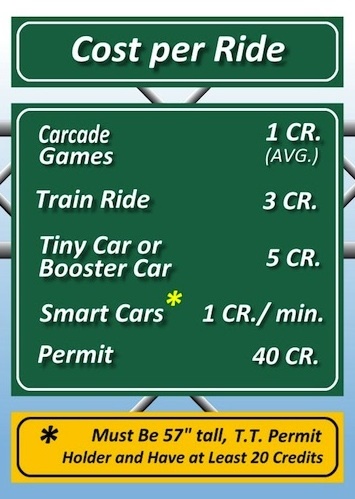 In this town, children will learn the full rules of the road and have the ability to make their own driving choices. The more they drive, the faster the vehicle becomes! Keep an eye out for Police! 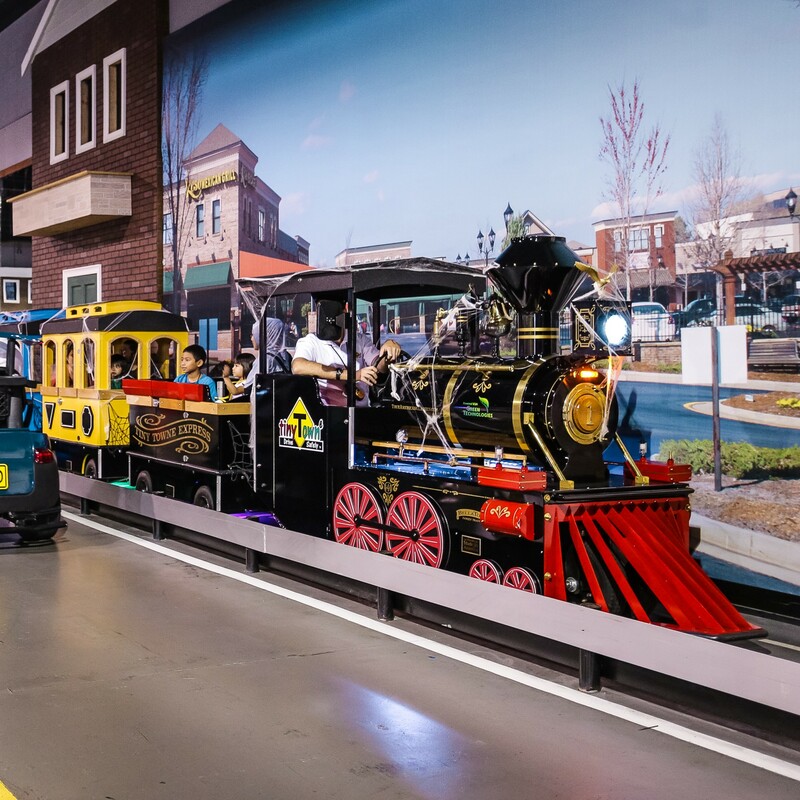 The Tiny Towne Express circles around all of Tiny Towne giving you an exiting 360 Tour of the whole town. With custom music and a surprise tunnel at the end of the trip, this is a favorite for the children of Tiny Towne! 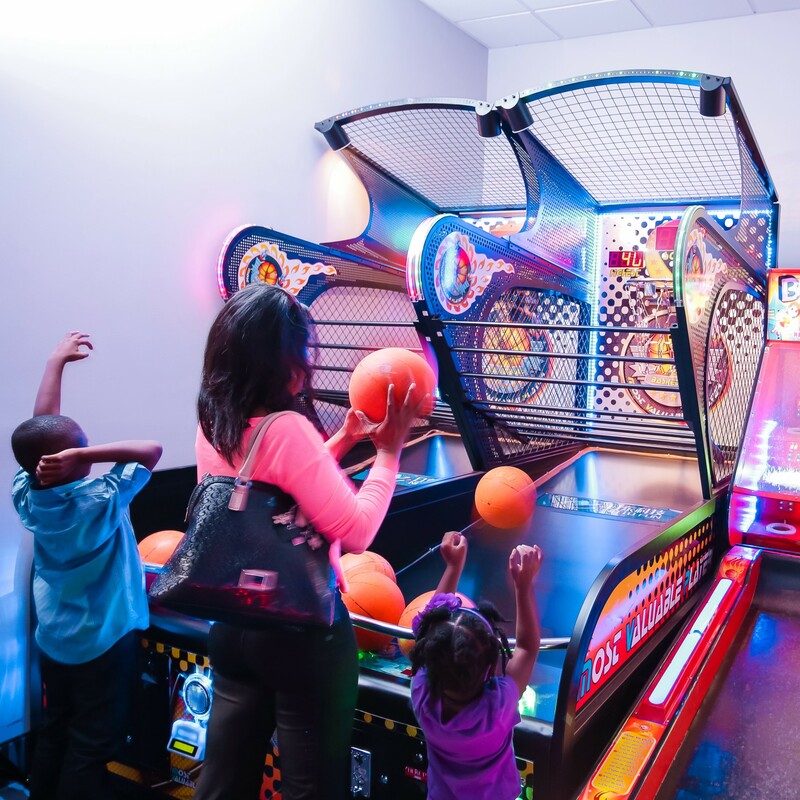 The Carcade is a state of the art area where children can play games that will test their mechanical skills and coordination abilities, as well as your favorite original games! Great for all Ages! 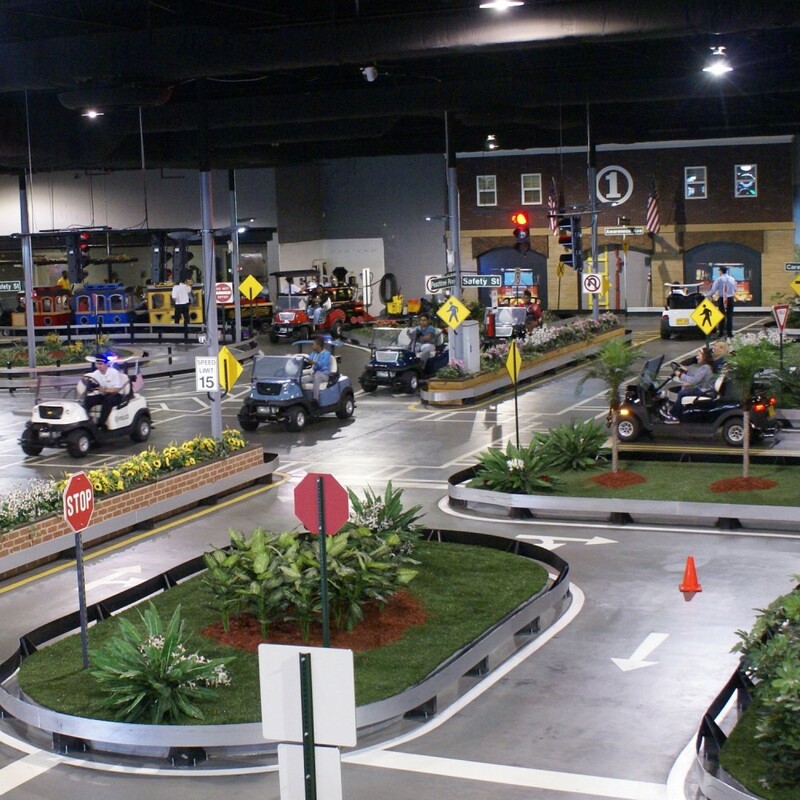 Attention Parents: NHTSA recommends drivers to start at a young age AND distribute their practice over time.